Please note: Attendees must register separately for the meeting and accommodation at the Asilomar Conference Center. There are a limited number of rooms available at conference rates. To reserve a room at Asilomar, please fill out the Asilomar Registration Form (pdf) and fax the completed form to 831.642.4262. If you are not staying at Asilomar…. Participants who wish to stay at local hotels or other lodging instead of at the Asilomar Conference Center are required to pay a daily site access fee of $9.00. In addition, when registering for the meeting, attendees will be asked whether they intend to take all their meals onsite. The cost of $44.75 per day includes the site access fee, breakfast, lunch, and dinner. 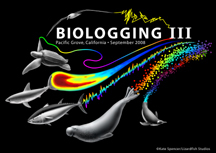 To view the location of the conference site on the Monterey coast, click here. Meeting attendees may be able to extend their stay at the Asilomar; please inquire about availability when making your reservation. Additional lodging options are listed on the Monterey County tourism website.